Bill Clutter was the principal founder of the Downstate Illinois Innocence Project at the University of Illiniois at Springfield (UIS), where he currently serves as Director of Investigations. Bill's investigation linked physical evidence tying the real killer to the crime scene. In 1999, police and prosecutors were brought to trial for their misconduct, but were acquitted. In 2005, the real killer, Brian Dugan was finally charged for the murder of Jeanine Nicarico, 23 years after the crime. On Nov. 11, 2009, the jury handed down a dearth verdict. Metnick knew that defense lawyers by nature have a difficult time representing innocent clients. Usually, defense lawyers won't cast about indiscriminately for new information because they donít want to turn up something damaging that can be used against their clients. Instead, defense lawyers focus on attacking the prosecution case. This case, however, needed as much probing as possible, Metnick believed. The more information he uncovered, the better for Alex. Metnick turned to Springfield investigator Bill Clutter. . . He took Clutter into the law firm's conference room and showed him the case file. "It was just unbelievably huge," Clutter recalled. "It was bigger than anything else we had ever done. Usually, when we get a case, it might take up an accordion file. If it is a really big case, it might take up two accordion files. But this was banker box after banker box." Clutter started by combing through the files, and soon found the report by Warren Wilkosz in which he documented having investigated Dugan after Dugan was arrested for Melissa Ackerman's murder. Prior to that, nobody on the defense side had realized that Wilkosz had investigated Dugan. Clutter met with Gary Johnson, Thomas McCulloch, Randy Garrett, and Naperville police chief Jim Teal. He re-interviewed witnesses and talked to prosecutors. He went to the Prairie Path and to the church where the secretary had seen Dugan. He also found out that plaster casts had been taken of tire tracks on the Prairie Path. Prosecutor Robert Kilander had told Ed Cisowski there was nothing of evidentiary value from the Prairie Path, so the State Police had not examined the casts while they still had Brian Dugan's car. Now, in the summer of 1989, Clutter insisted on seeing them. Then he persuaded the State Police to examine them. A test identified the tracks as coming from Goodyear Viva glass-belted tires, which were the original tires on Dugan's Volare. The car itself, though, by now had been crushed and was no longer available for comparison. "I feel like Rip Van Winkle," said Randy, moments after being released from prison. 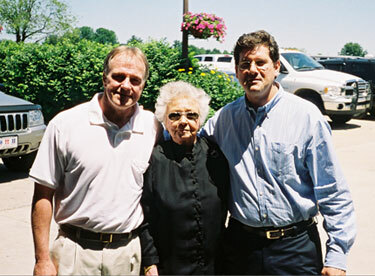 The Sisters were a major source of support for the Downstate Innocence Project at the University of Illinois at Springfield. Bill Clutter works part time at the Project as its Director of Investigations, and was a founding member of the Project, which teaches undergraduate students investigation skills. On October 13, 1997, Julie Rea-Harper's 10-year old son, Joel, was brutally stabbed to death in the middle of the night by an intruder. The crime shocked the small town of Lawrenceville, Illinois. She was a Ph. D. student at Indiana University. For three years, the case remained unsolved. Though there was no motive or evidence that she had killed her only child, Julie was indicted by a special prosecutor who was appointed after the elected State's Attorney declined to press charges, citing a lack of evidence. Bill Clutter advised her attorney to investigate Sells: In June of 2000, Julie's privately retained attorney was referred to private investigator Bill Clutter. Clutter was informed that that the attorney's client was facing indictment on capital murder charges. Hearing Julieís description of the assailant, and the details of the crime, Clutter suggested investigating whether Tommy Lynn Sells committed the murder. The description of the intruder; and the modis operandi, said Clutter, fit the description of a confessed child serial killer, Tommy Lynn Sells. On New Years Eve of 1999, Sells broke into the home of a Del Rio, Texas family at 4:30 a.m. and brutally stabbed to death 13 year-old Kaylene Harris while the rest of the family slept through the attack. Another child, 10 year-old Krystal Surles had her throat slashed, but survived the attack and provided police a description of the assailant, leading to the arrest of Sells, who is now serving a death sentence in Texas for that crime. Clutter suggested that a defense investigation should look at Sells as a possible suspect in the murder of Joel Kirkpatrick. Prosecutors prevent access to reforms designed to protect innocent people from execution: On Oct. 12, 2000, Julie was charged with capital murder. Having exhausted her life savings on private counsel, Julie filed a pro se petition requesting the appointment of two capital qualified attorneys to defend her, seeking the protection of Supreme Court reforms that were to take effect in March of 2001, requiring the appointment of two qualified attorneys to defend a person facing the death penalty. Prosecutors prevented Julie from receiving the benefit of those reforms, by announcing they no longer intended to seek the death penalty. Those reform só including access to the Capital Litigation Trust Fund, which funds the appointment of investigators, lawyers, and experts were put in place in January of 2000, after Anthony Porter, 48 hours away from execution was exonerated by a private investigator Paul Ciolino, working with a Northwestern University journalism professor, Dave Protess. The prosecutor's decision to back away from seeking the death penalty deprived Julie of the reforms that were designed to guard against an innocent person being wrongly convicted. Prosecutors used emotionally charged evidence in their zeal to convict: Prosecutors improperly elicited testimony from Julie's ex-husband that she once considering having an abortion when she became pregnant with Joel. Julie, raised in a deeply religious family, adamantly denied this. The case, tried in Wayne County, Illinois, in deep Southern Illinois, was in a conservative rural county where abortion is fiercely opposed by an overwhelming majority. The prejudicial impact of this emotionally charged testimony becomes even clearer when one looks at the 2004 election for the US Senate between Barack Obama, and Alan Keys, two black candidates who had distinctly opposing positions on the abortion issue. Keys based his campaign entirely on his pro-life views on abortion. Though Obama won 70% of the vote statewide in an overwhelming landslide, Keys commanded 72% of the popular vote in Wayne County where the case was tried. Defended by a lone, public defender and outmatched by three opposing prosecutors, Julie was convicted on March 4, 2002, and sentenced to serve 65 years in prison. On May 31, 2002, just weeks after Julie was sentenced, ABC 20/20 aired her story. Diane Fanning, a true crime author on serial killer Tommy Lynn Sells, watched the program. She corresponded with Sells. Without providing him when this crime occurred, Sells wrote back and asked her if this murder happened two days before his Springfield, MO murder. On Oct. 15, two days after Joel's murder, Sells abducted and killed 13 year-old Stephanie Mahaney. He was indicted for that murder by a grand jury after he gave details that only the killer would know. 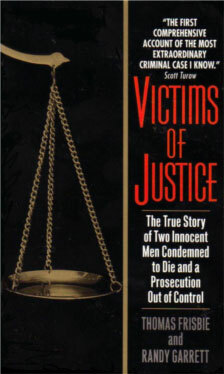 Investigation by Bill Clutter, Director of Investigations at the Downstate Illinois Innocence Project at the University of Illinois at Springfield resulted in eyewitness testimony from Alan Berkshire who saw Sells in Lawrenceville the weekend Joel was killed; and the testimony of Sandra Wirth, who reported selling a bus ticket to Winnemucca, Nevada, two days after Joel as killed to a man who matched the suspect Julie described to police. Winnemucca is significant because Texas Rangers can place Sells there after Joel was killed. Texas Ranger John Allen reviewed the evidence gathered by UIS. This evidence convinced Ranger Allen that Sells' confession to the murder of Joel Kirkpatrick is genuine. UIS presents exonerating evidence to the Prisoner Review Board:On Oct. 24, 2003, the Downstate Illinois Innocence Project presented compelling evidence corroborating the confession of Tommy Lynn Sells. Diane Fanning testified as to the circumstances of how Sells confessed to the murder of Joel Kirkpatrick. Former state police crime scene investigator Alva Busch pointed out inaccuracies in the interpretation of crime scene evidence of one of the State's experts at the first trial that contributed to Julieís wrongful conviction. Bill Clutter, director of investigations for the Downstate Illinois Innocence Project presented a summary of the evidence corroborating Sell's confession. At the urging of the Prisoner Review Board, prosecutor David Rands and Sgt. Pea of the Illinois State Police traveled to Texas on Nov. 6, 2003, and conducted an audio recorded interview of Sells. Sells gave details that only the killer would know. Sells told prosecutors that during the struggle the woman clung to his leg as he drug her inside the house. Six years earlier, Julie had described this event, grabbing the intruder's leg and being dragged on the carpet. A nurse who treated Julie observed what appeared to be rug burns on her leg. Despite 53 points of corroboration to Sell's confession to the murder of Joel Kirkpatrick, prosecutors continued to insist they disbelieved the confession based on the few facts Sells got wrong, taking the same position prosecutors in DuPage County took in the Nicarico case when they were presented the confession of serial killer Brian Dugan in 1985. UIS discovers evidence of police perjury: The media coverage of the Prisoner Review Board hearing prompted the former mayor of Lawrenceville and the former chief of police to contact the Downstate Innocence Project with evidence suggesting that a Lawrence County Sheriff deputy testified falsely at the first trial regarding his search of the back yard looking for footprints in the dew covered grass in the back yard. Whether reports indicate that there was no dew on the ground. On the morning of the crime, the former Lawrenceville police chief conducted an audio interview of the deputy who discovered Joel's body. The deputy described going into the house upon discovering broken glass and blood at the back door. At trial, however, the deputy testified before going inside the house "I shined the yard with my light. It was heavy dew. I seen no fresh track in the yard." The deputy did not document this activity in his report. Yet, his testimony was used by prosecutors as evidence that there was no intruder.This audio tape was never provided to the defense during Julie's first trial. Appellate court vacates conviction.On June 24, 2004, the appellate court vacated Julie's conviction and ordered her immediate release. As she was set to take her first step out of prison, prosecutors re-arrested Julie, ignoring overwhelming evidence that she is innocent. Supporters quickly rallied and raised $75,000 in less than a week's time to secure her release on bond. Instead of seeking justice, as new Supreme Court rules require, prosecutors sought to convict her again. Jury acquits Julie: On July 26, 2006, a jury in Carlyle found Julie not guilty of killing her son. She was represented by the Bluhm Legal Clinic at Northwestern University Law School. Lead attorney, Ron Safer, a former federal prosecutor and partner at the Chicago law firm of Schiff, Hardin, donated his time to Julie's legal defense. He was assisted by Jeff Urdangen, a staff attorney at Northwestern. Other staff attorneys Karen Daniel, Judith Royal and law students at Northwestern University assisted the defense team. The UIS Innocence Project is working to educate lawmakers on the need for further reforms: Legislation is needed to provide for independent prosecutors who can fairly review cases involving actual innocence. Despite death penalty reforms that were put in place to guard against an innocent person being wrongly convicted, the case of Julie Rea-Harper exposes serious flaws that still exist in our criminal justice system. Link to Women in Crime Ink: A well of thoughts on crime and media issues from women criminal justice professionals and authors featuring Bill Clutter as Mystery Man for April 19, 2008 as a guest author, writing about the Julie Rea Harper case. On Sept. 6, 2007, Justice Thomas Appleton, writing a unanimous opinion, ordered the conviction of Herbert Whitlock vacated. The Rule 23 opinion found that prosecutors improperly withheld exculpatory evidence from the defendant, consisting of crime lab notes of an Illinois State Police forensic scientist Debra Helton: According to Clutters report, Helton received a telephone call from [ISP Agent Jack] Eckerty on October 6, 1986, the date she began screening the items of evidence for human blood. As Helton explained to Clutter, much of the evidence had blood on it, and she wanted to know if anyone other than the [victims] had shed blood at the crime scene and, if so, what was the injury. Helton wrote down Eckertys response to that question: Informant cut on handcut not bad. Not sure if anyone else cut. Says other two had a lot of blood on them.. . .
To confirm Herringtons statement to Eckerty that he sustained a cut at the crime scene, Helton needed Herringtons blood standard. Clutters report states: Helton agreed that as a scientist, in order for her to prove or disprove the informants statement to Agent Eckerty that he cut himself at the crime scene, she would need to have had his blood standard. Helton never received Herringtons blood standard. Clutters report states: Helton agreed that as a scientist, in order to prove or disprove the informants statement to Agent Eckerty that he cut himself at the crime scene, she would need to have had his blood standard. (Emphasis added.) Arguably, this information raises the possibility that Herringtons testimony at trial diverges significantly from what really happened at the Rhoads house and that he was a hands-on participant in the murders. If [defense trial counsel] Tulin had known that Herrington told Eckerty he had got cut at the crime scene, Tulin could have cross-examined Herrington about it, impeaching him further and implying that Herrington, rather than defendant, committed the crime-a theory Tulin argued at trial. For the foregoing reasons, we reverse the trial courts judgement on the second amended petition for post conviction relief, vacate the conviction, and remand this case for a new trial on the charge of first-degree murder of Karen Rhoads. Herb Whitlocks first day of freedom, on Jan. 8, 2008, at the home where he grew up. 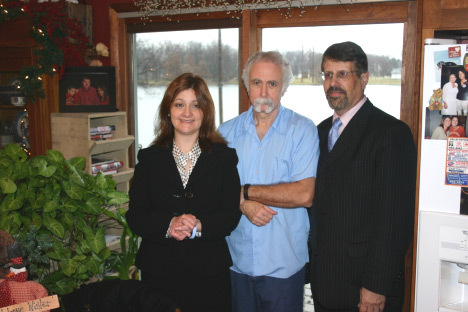 He is surrounded by his attorneys Susanna Ortiz and Kent College of Law professor Richard Kling. Assisted by law students and the Downstate Illinois Innocence at the University of Illinois at Springfield, Kling and Ortiz donated their legal services pro bono.